Economy Plumbing is committed to providing you with an honest, written, free In-Home Quote within 24 hours for non-emergency requests. We offer both flat rate services and low hourly repair rates with no travel charges in Kitsap County or Bainbridge Island. Every customer of Economy Plumbing receives our "Right Job" Guarantee. We guarantee in writing, the quality, transparency and timely service promises we live by. Customer references, insurance bonds and professional licenses are always available for you to review. We'll do the job right, guaranteed! 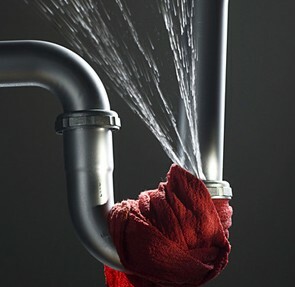 At Economy Plumbing we understand the personal nature of inviting a plumber into your home. With over 30 years experience, you can feel comfortable that we will professionally and honestly care for your plumbing needs. Our friendly, customer centered approach and reliable reputation is why we are able to serve our local community year after year. Broken Or Clogged Faucets, Sinks, Toilets, Garbage Disposal, Etc. Right Price, Right Job, Right Now. Economy Plumbing Inc. is a family owned and operated business with over 30 years of plumbing experience and customers through-out Kitsap County and Bainbridge Island. Our core values are based on establishing trust and working with our clients to ensure extreme satisfaction in both commercial and residential plumbing. We are available day and night and we look forward to being YOUR plumbing experts! Best plumbing service around. We had our water heater break right before we had a house full of guests due to arrive. We explained the urgency to Fernando and he was here in a flash to do the repair! By the time our guests got here, all was wonderful!! We have worked with several contractors and plumbers over the last 20 years. Fernando and his team, are one of the most honest, transparent and hardworking groups we have had the good fortune to hire. We have several rental properties in Bremerton and Poulsbo, and their service has always been done with speed and quality, as well as handled in a professional manner! © 2019 Economy Plumbing, Inc.